Here is my contribution to the Solid State suite which is the brain child of 2of3. Some of the graphics, I ripped off from the Windowblind and just used 'em. JUST KIDDING! permission is included in zip file. This is a lightly animated cursor which looks good any background. The black hole in the normal cursor is semi transparent for better visibility. Hope ya like it. 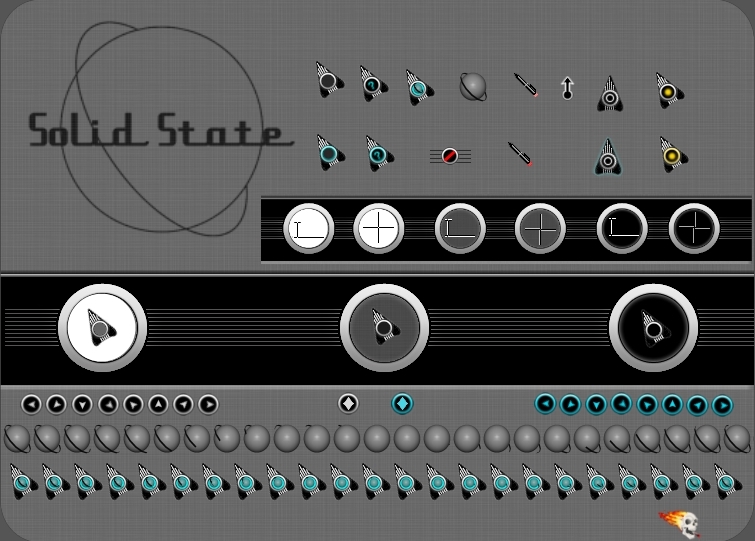 Don't forget to check out the other skins in the Solid State suite. Excellent job on a matching cursor, looks great! 5 Stars from me! Thanks for being a part of this! Thank you very much, guys and gals. Thanks for letting me in on this Tim. Glad you like it, Kitty. Thanks butch, pal and CarGuy. Glad you like it, TNT. Thanks, butch. Really sweet, has something of BioShock! I love it! This is a really cool cursor set! Thanks! Glad ya like it, jazzilady!